Scotland has already proven itself to be a leader in gender equality in some respects, like making upskirting illegal almost ten years before England and Wales. Now, the country has revealed a radical plan to address other pressing issues related to gender equality. 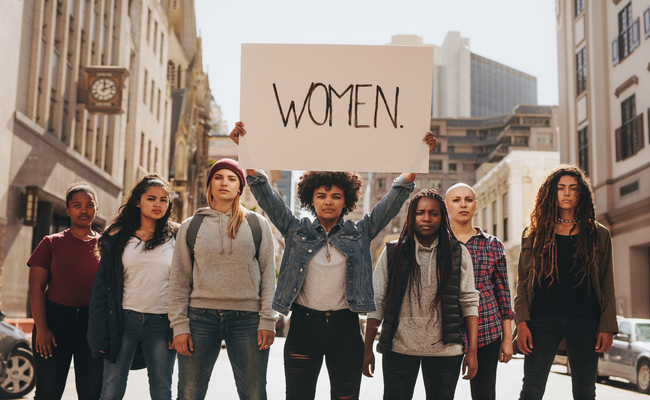 The National Advisory Council on Women and Girls has produced its first annual report with proposals on how Scotland can both increase gender equality within the country but also how it can act as a guide for other countries to do the same. First Minister of Scotland Nicola Sturgeon established the 16-member council in 2017. Sturgeon took inspiration from Barack Obama’s White House Council on Women and Girls. The council’s recommendations include 50 hours of free childcare each week for all children between the ages of six months and five years old, creating a “world-leading” process for handling sexual violence and local and national gender quotas for political parties. The report recommends two months of paid paternity leave, which is incredible compared to some countries but still behind others. Iceland, for example, offers mothers and fathers each three months of parental leave, with an additional three months to share between them as they choose. Germany offers parents up to 14 months of leave to share, although the structure of Iceland’s plan results in more fathers actually using parental leave. Another critical aspect of the plan includes creating a What Works? Institute, which would test evidence-based methods of combating inequality and misogyny. Basically, Scotland wants to use science to fight the patriarchy. The plan is ambitious, but the council seeks to bring a “revolutionary lens” to gender equality. Macdonald said the council agreed early on to focus on “systemic change, because changing the system would lead to changing behaviours and that leads to changes in attitudes and culture.” Hence the ambitious scale of the report. Nicola Sturgeon will share her response to the report at an upcoming council meeting. Bonnie Scotland leading the way.